Moon Fishery Pvt. Ltd of India, the company that manufactured the yellow fin tuna Nakaochi Scrape that was recalled in the United States and sickened at least 258 people in 24 states and the District of Columbia, is recalling 22 pound cases of “Tuna Strips” because they may also be contaminated with Salmonella. The specific serotype of the bacteria was not specified. Salmonella bacteria can cause serious and sometimes fatal illnesses in the very young, the elderly, the chronically ill, and those with compromised immune systems. Even healthy people can suffer long term effects of food poisoning, including reactive arthritis and myocarditis. The FDA sampled some of the product from a lot that was not yet in commerce. As a cautionary measure, the company is recalling tuna strips that were already distributed to customers. None of the recalled product is from the positive sample lot. Four wholesalers have received this product: in Georgia, Massachusetts, New Jersey, and New York. 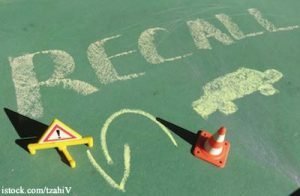 One of the problems with the previous recall, and a problem with this recall, is that wholesalers may have broken down the lots into smaller lots that have no identifying lot numbers or codes. The product is packaged in white boxes with black writing identifying the importer as Moon Marine USA Corporation, a separate and independent company. Inside the boxes, the tuna is in vacuum-wrapped packages with no labels. The tuna is AA or AAA grade, intended for sushi. The company has suspended distribution of the product while the FDA investigates the problem.